Fiat released an official image of the 500 Abarth a while back and now we have even more images and official specs to digest. The 500 Abarth will, as speculated, use a 1.4 litre Multi-Air engine that is both intercooled and turbocharged to 160 horsepower. 16 inch wheels are standard with 17’s optional (it’s also optional to have them painted either white or black) along with an upgraded rolling stock, suspension and brakes. Inside you’ll fine highly bolstered bucket seats, a flat bottomed thick rimmed steering wheel, turbo boost gauge, shift light and sat-nav. 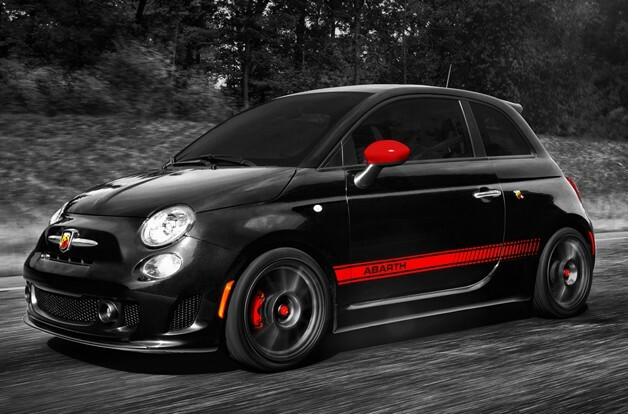 No price has been mentioned yet which I suspect will be the main factor of whether 500 Abarth sales keep an upward trend. And you know Fiat 500 Abarth vs. Mini Cooper S comparos are just itching to get underway so this should make for a very interesting segment. Head over to Autoblog for more pics.